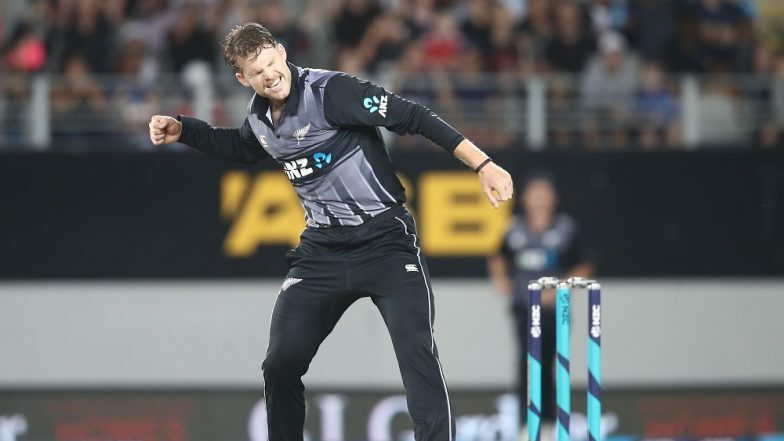 Kolkata, March 26: Roped in as Kolkata Knight Riders' (KKR) pace spearhead, New Zealand's Lockie Ferguson on Tuesday said he is excited to be part of a bowling attack that is "exceptional" and is not the leader of the pack. "I am excited to be part of a team and I think our bowling attack is exceptional," Ferguson said ahead of KKR's second home game against Kings XI Punjab at the Eden Gardens on Wednesday. KKR's famed bowling unit looked lacklustre in their opening match against Sunrisers Hyderabad with comeback man David Warner taking the likes of Kuldeep Yadav, Sunil Narine to cleaners. Ferguson also returned wicketless, leaking 34 runs in four overs. Nonetheless, the 27-year-old heaped praise on his teammates saying spinners will bounce back in the upcoming games. "We have a great spin attack. With PK (Prasidh Krishna) swinging the ball and being good in death overs, by no means I think I'm leading. I think just like we saw in the first game we all did our part and Andre Russell got wickets. IPL 2019: Glad That I Don’t Have to Bowl to Andre Russell, Says His KKR Teammate Lockie Ferguson. "In other games, spinners are definitely going to get wickets. I'm just glad to be part of this family. I'm excited to have another go tomorrow," said Ferguson, who previously played for Rising Pune Supergiant in the 2017 edition where they reached the final. Punjab beat Rajasthan Royals by 14 runs in their first game at Jaipur on Monday, riding Chris Gayle's 47-ball 79. The tie was marred by Punjab skipper R Ashwin 'Mankading' Jos Buttler at a crucial juncture of the game, but Gayle set the tone hitting eight four and four sixes. On Andre Russell's whirlwind 19-ball 49, which won KKR the game in the last three overs against Sunrisers, Ferguson said he hasn't seen something like that ever. "It's one of those. I've never seen anything like that personally. That was unbelievable. I'm pretty excited he's on my side, I don't have to bowl to him." Asked about KKR's plans to stop the veteran West Indies opener, Ferguson said they are exploring areas to attack the southpaw. "Chris (Gayle) is in some pretty fine touch at the moment. He really batted well last night. It's nice to watch him. Perhaps, there are some areas we can look at attacking him. "But in general, the batting lineup is so strong. It's important to stick to your plan and back yourself because in T20, if you back yourself, then more often than not it will come off on the better side. If you keep working on your strengths then definitely it will come off better." On Kuldeep, Ferguson who was part of the Kiwis' ODI and T20 side that played against India at home, said, "He is a superb talent. I think you're gonna see big things from him. He's the kind of guy who is always working on his game. I think he's got a big future for sure."